Mooji has dedicated his life in service to all who desire to awaken into their natural Self. Mooji is a true light in this world, whose presence, wisdom and loving guidance point us to who we are beyond the limitations of our personal conditioning and identity. In open interactions with this great spiritual Master, seekers of Truth from all backgrounds and traditions are introduced to the direct path to freedom through self-inquiry and The Invitation—which is proving to be one of the most effective aids for true and lasting Self-realisation. Universal in his appeal, Mooji’s wisdom, compassion, openness and humour profoundly touch the hearts of those who meet him, thereby inspiring each one to find within themselves the deep peace, love and silence they recognise in him. Mooji—Anthony Paul Moo-Young—was born on 29 January, 1954 in Port Antonio, Jamaica to Euphemia Bartlett (later Euphemia Hamilton) and Enos Moo-Young. When he was about a year old, Euphemia moved to England, and young Anthony remained in Jamaica in the care of his father and his aunt, Eunice. 'Miss Nicey', as she was lovingly called, embraced the child with great love and care as though he was her own son. Anthony, or 'Tony Moo', also regarded her as his kind and loving mother. Enos was a very devoted and affectionate father. He himself was highly respected in their town because of his kindness, equanimity and warmth towards everyone. He was seen by many as a friend and was affectionately called ‘Papa Enos’ or ‘Maas Enos’ (Maas is a warm and respectful way of greeting a man, used instead of the title ‘Mr’). 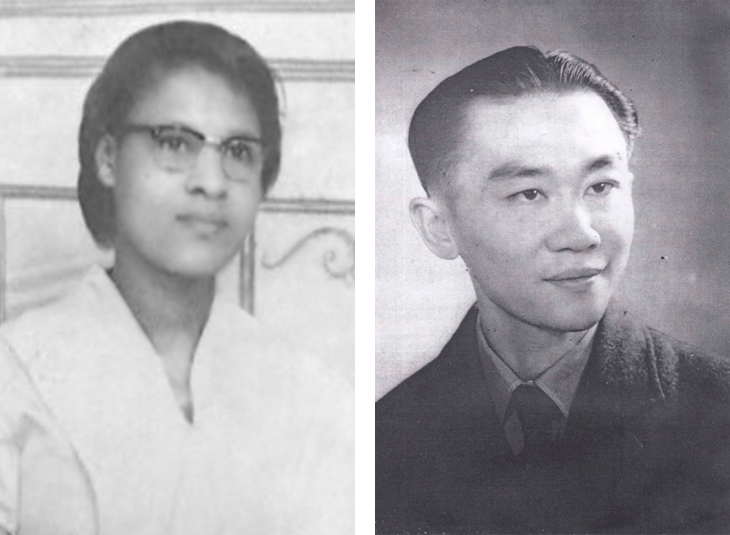 Mooji's parents Euphemia Bartlett and Enos Moo-Young. Enos was the eldest of three children. He was followed by his sister, Mabel, and their youngest brother, George. Enos had been an officer of the British Royal Air Force and served for several years. In Jamaica, he was a respected accountant at the Jamaica Reef Hotel, a mile away from their home, and Anthony was always overjoyed to visit him in his hotel office from time to time. Anthony had an extraordinarily close relationship with his father and speaks of him with great adoration, respect and love. He often recounts how they used to sleep together in a tiny bed barely big enough for one person. 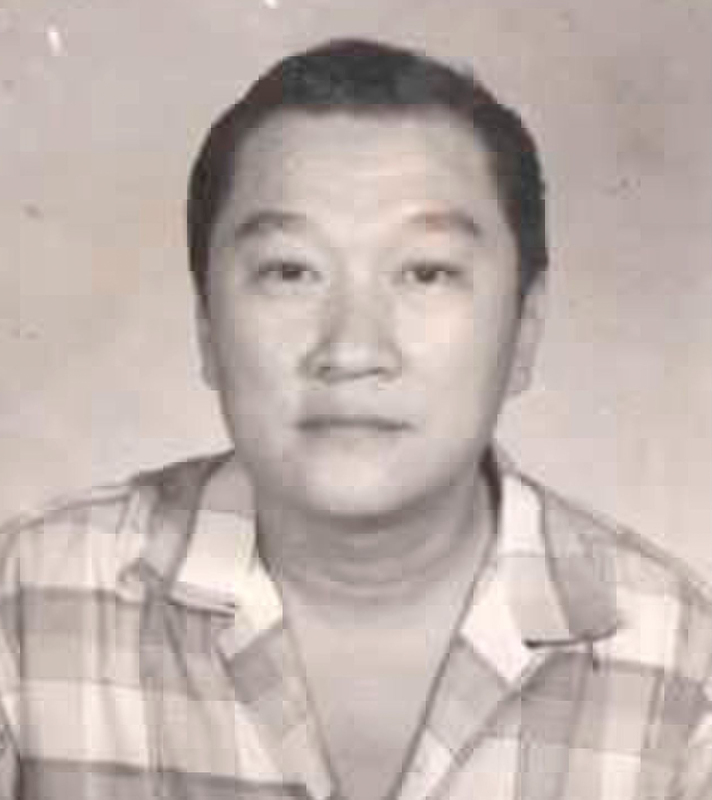 Those years with his father, Eunice and his other siblings were totally showered in love, playfulness and a deep sense of security. The family lived together in the Moo-Youngs' family home, a long zinc-roofed wooden house behind the grocery shop and saloon bar which was the Moo-Young family business. Enos’ younger brother, George, ran the business himself. The house had different sections where Anthony’s uncles and aunts and their children also lived. It felt like they were one big family, and one couldn’t easily distinguish who was whose child. It was a very beautiful and nurturing environment for a child, as Mooji recollects. In 1962, Enos travelled to the capital city of Kingston accompanied by George to undergo some medical tests, but he never returned home. He died suddenly of pneumonia in Kingston. The unexpected death of his father had a big impact on Anthony’s life—he was only eight years old at the time. However, the strength and warmth of his upbringing put the young boy’s mind in good stead for what was later to come. George, Anthony’s uncle, took over the responsibility for his upbringing, and his life changed suddenly and drastically under his uncle’s care and supervision. Uncle George—as Anthony would call him—was a hard-working family man with four children of his own. He cared for the family business, which was a grocery shop on the main road, just in front of the house. Uncle George had strong religious views, and he had felt for a while that his nephew needed more discipline rather than the outpouring of affection he had experienced with his father. This new life with his uncle was not the most comfortable or enjoyable period because of the strict discipline he began receiving. Added to this, he had to do difficult chores and to work most days after school in the grocery shop, a time he would otherwise have spent playing outside. However, it was during this period with his uncle that he was introduced to the Bible in a very intimate way. Along with his cousin, Joan, he had to get up early each morning to read and discuss passages from the Bible with his uncle before going to school. It was due to these early morning readings under mosquito net and candlelight that Anthony developed the deep love for biblical stories, and in particular the life and teachings of Jesus Christ and those of the prophets of old. Only later did he come to appreciate that the disciplines he so disliked earlier had actually contributed greatly to his later life. 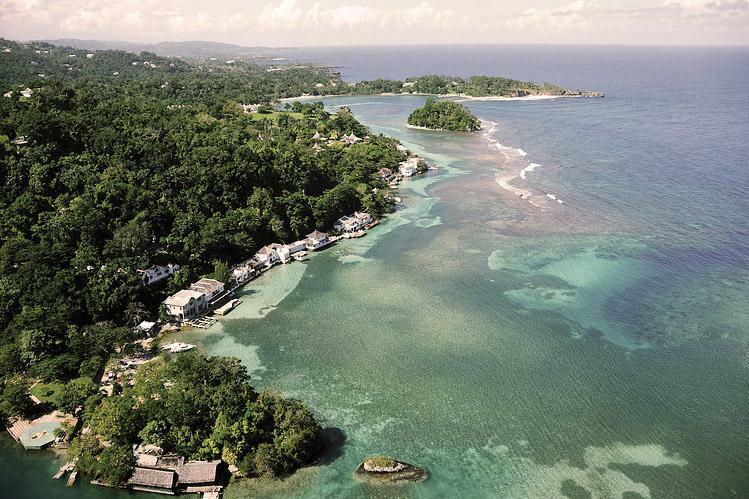 One view of Port Antonio, Jamaica. When Anthony was about 13 years old, his uncle left to live in America and gradually sent for all his children to join him in the United States. 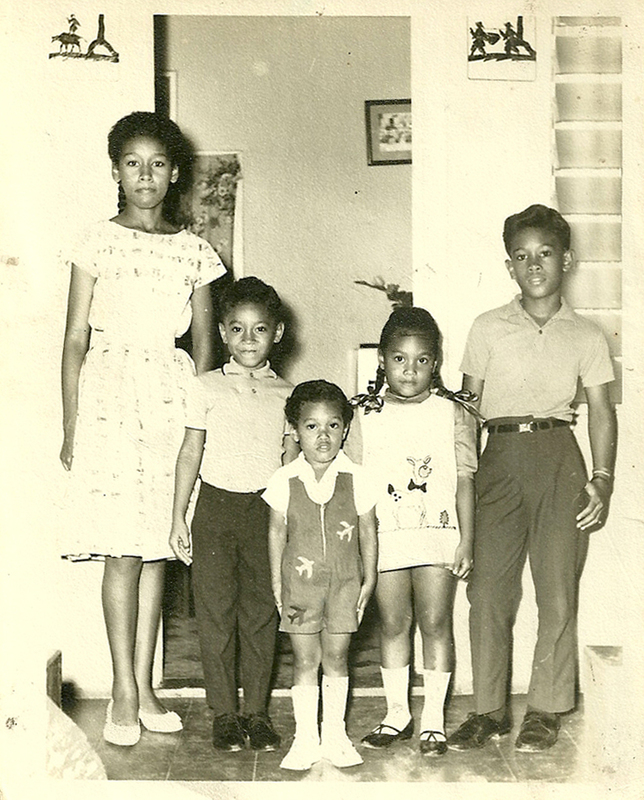 Anthony stayed in Port Antonio with Eunice and his other siblings. After Uncle George and his family emigrated to the United States, Anthony’s life returned to a level of freedom and playfulness again with his brothers and sisters and under the motherly care of Eunice. In 1968, Anthony began to correspond with his birth mother, Euphemia, which reawakened a mutual yearning to be together. In fact, she herself journeyed to Jamaica with the intention of bringing Anthony back to England with her. They travelled together to England, but Anthony was refused entry because his papers were not fully in order. Things eventually, by Grace, fell in place, and he entered the UK in 1970 to join his mother and the rest of his UK family; he was 16 years old. A new chapter had begun. In his twenties, he finished school and completed his college course in Waterloo. 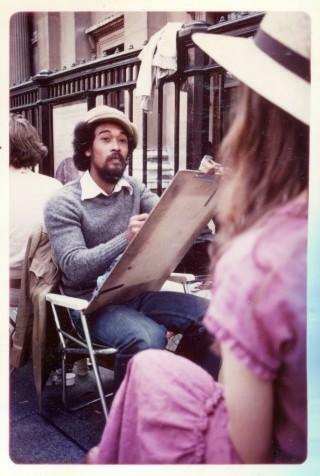 Then after working in a few odd jobs, Mooji began working as a street artist in London, making charcoal and pastel portraits of tourists outside the National Portrait Gallery on Charing Cross Road and later on in the famous Shaftesbury Avenue at Piccadilly Circus. This was a very exciting, adventurous period for him as he was meeting people from all over the world. But in 1985, all this came to an abrupt end when his eldest sister, Cherry, was accidentally shot by the police and paralysed, an event which led to the infamous Brixton riots. Mooji found himself in the uncomfortable position of spokesperson for the family and pushed into the limelight. The impact of this experience brought an end to his life as a street artist. In 1987, Mooji met Michael, a seemingly chance meeting which would completely change his life. Mooji often describes Michael as a young Christian mystic, and he was powerfully drawn to Michael’s humility, wisdom, faith and trust in Christ. Together they would have very deep and inspiring conversations about the life and teachings of Jesus Christ and living with the daily challenges of a present day disciple. These profound meetings were the precursor and a kind of catalyst to Mooji’s conscious search for Truth. 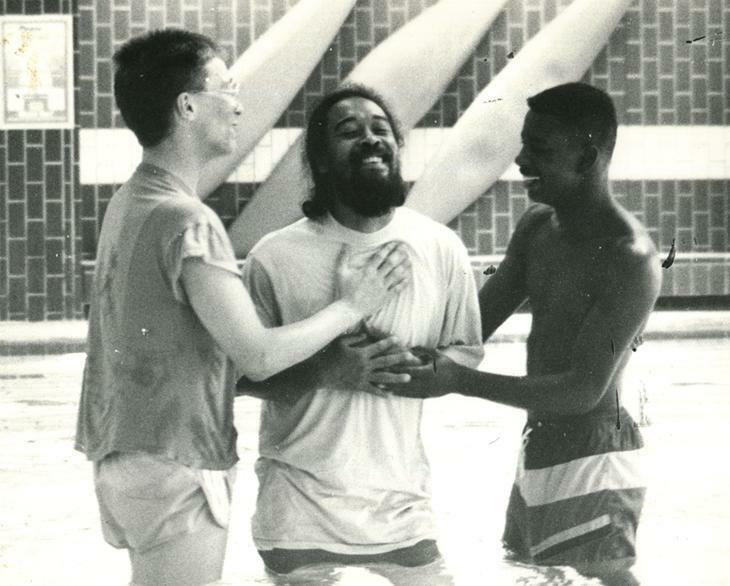 1988: Tony Moo (middle) being baptised by Michael (right) and Simon (left). Around this time, Mooji resigned from his work as an art teacher at the local college in Brixton and began moving about freely. It was a time of profound transformation—silent and rich in intuitive understanding, insights and awakenings. In fact, for about three or four years during this period, he struggles to remember anything of how those years passed. There was little inclination to be in the company of worldly minded people. The sense of past and future was disappearing rapidly. His mind was becoming increasingly introverted, rooted in the love of God. One day, Mooji’s sister, Cherry, requested him to make a mural painting on a wall in her house—Cherry was paralysed and could only move around with a wheelchair. Mooji made several beautiful murals depicting typical scenes of the Jamaican countryside they both knew as children growing up. Cherry loved these paintings so much that she gifted him some money. With that money and without any real plans except a powerful urge to drink in as much spiritual grace and guidance as he could, Mooji travelled to India. 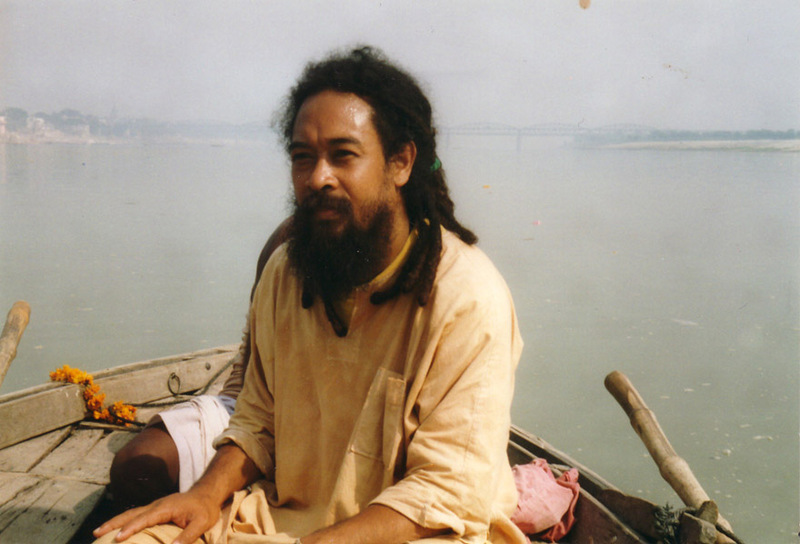 Mooji's first trip to India, on a boat on the Ganga, Varanasi, 1993. Mooji spent a few months in Lucknow in Papaji’s gracious presence. During this time, he also travelled to Tiruvannamalai, South India, with Papaji’s blessing, to visit the ashram of Sri Ramana Maharshi, who was Papaji’s own Master. While in Tiruvannamalai, Mooji also felt very privileged to meet the renowned saint, Sri Yogi Ramsuratkumar, and Ma Devaki, who was Yogiji’s closest disciple. Mooji says, ‘I felt inside my heart that I was increasingly settling into India as a place of deep spiritual knowledge, nourishment and grace. It felt like the land of the Spirit to me.’ One morning, again Mooji awoke with a powerful urge to return to Lucknow and see Papaji. Upon his return, he received news from London that his eldest son, Jason, had died of viral pneumonia. Mooji returned to London immediately to be with his family and to arrange for the burial of his son. He felt that he returned home with Papaji’s presence inside his heart. Over the next few years, Mooji’s incense-selling in the local market had evolved into Mooji’s Chai Shop, a small, colourful stall outside the shop front of Brixton Wholefoods. Here, he was making chai (Indian tea), kombucha and Red Rhino (an original health drink he created). It was a popular place, though he only opened the Chai Shop on Saturdays. It was here that some of the early seekers would come to meet him. More and more people began visiting Mooji at the Chai Shop, recognising the peace and joy that was emanating from him. It was around this time that he began meeting with a small number of determined seekers inside his tiny apartment in Brixton Hill. In those early years, Mooji was not inclined to speak, though this did not deter increasing numbers of people seeking him out to sit with him, drawn by his radiant presence and love. Gradually, some of them began asking questions regarding the nature of consciousness and their search for the direct experience of Truth. As Mooji was happiest sitting in silence, he prayed to God that since these kinds of seekers were now increasing, that God would also provide the inspiration, grace and power to bring them into the Truth. Thus, Mooji found the capacity to answer not only the questions but to expose and expel the deep undetected tendencies inside the questioners’ minds. It had become increasingly clear to him that both the questions and the questioners are phenomenal, and the deeper Truth, the God-Self, is ever beyond, awaiting the recognition and discovery by the earnest seeker. This was the birthing of Satsang—and this is when people began calling him ‘Mooji’. Since then, Mooji has been sharing Satsang with seekers from all over the world whose hearts are yearning to directly recognise and experience the one true Self. Though he has travelled all over the world sharing the Truth he found, Mooji spends more time in Monte Sahaja, the UK and India. His wisdom, guidance and love are renowned, and his powerful presence is tangible in every encounter, revealing itself in all those who meet him genuinely. He has a remarkable ability to guide those who are earnest into the direct recognition of the Self. His teachings and pointers are known for their accessibility and universal appeal, being beyond judgement and the grip of personal conditioning. He responds to questions from people from every walk of life with uncommon clarity, wisdom, compassion and profound simplicity, and perhaps this is one of the reasons why thousands are discovering and accepting Mooji as a true heart Master. Each and every living being is an embodiment of the imperishable Self. The highest purpose of life is to awaken to this truth experientially as the very core of our existence. An awakened master is the midwife to this rebirth as pure consciousness.